The Sumo model is a high-volume mid-length with speed to burn. The wide point is way forward, and the tail is pulled into a tight pin. With all the volume under your chest the board is easy to paddle, and once you're up and riding that narrow tail really comes into play. The board comes with a 2+1 fin set-up, but can also be ridden as a single fin if preferred. McTavish Surfboards er en autentisk surfebrettprodusent basert i Byron Bay, Australia. McTavish har hatt en sentral rolle i surfingens historie både i australia og internasjonalt helt siden Bob McTavish startet i 1962. Les mer om McTavish under produsent i de ulike produktene. 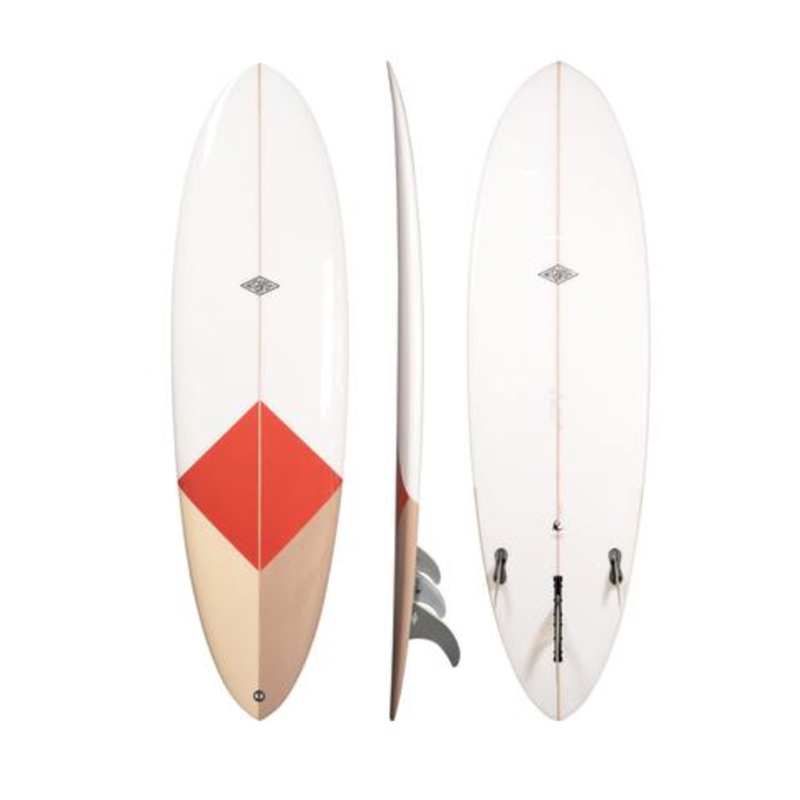 McTavish Surfboards is a high quality surfboard manufacturer based in Byron Bay, Australia. The brand was founded by Bob McTavish in 1962, and boards bearing the McTavish name have been in production ever since. Bobs larakin lifestyle and contributions to surf design and culture have spanned over 5 decades, and form the basis of what McTavish is all about – design excellence, excitement, fun and adventure. Over the years we have seen the surf industry change and morph, competitors and brands come and go. Today we are proud to run an independent, low volume establishment dedicated to quality and craftmanship. McTavish Surfboards has been a part of the Australian and International surfing landscape for over 50 years, and we intend to let our passion and love for riding waves and building boards keep us here for decades to come.